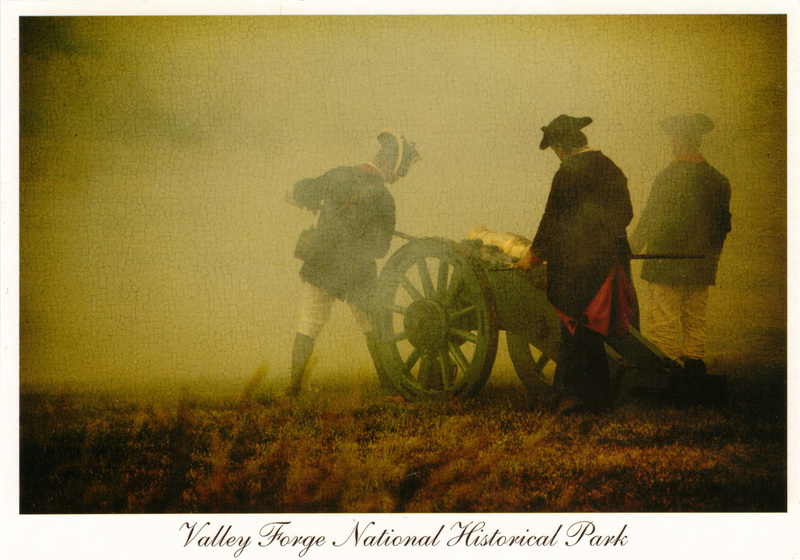 Valley Forge was the site of the encampment of George Washington’s army, approximately 12,000 soldiers, during the winter of 1777-1778. This card shows Continental Army reenactors firing a cannon. Although the soldiers were men, there were many women at the encampment. Around 500 camp followers helped keep soldiers’ morale high and laundered and mended uniforms, among other things. They were even paid for their service. 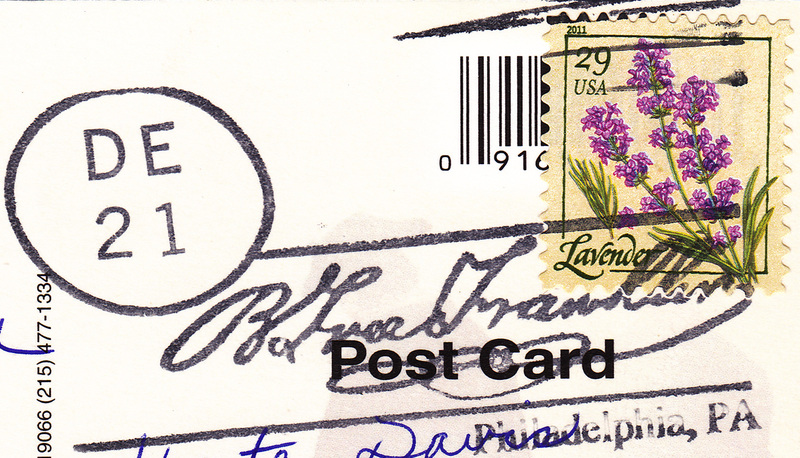 The mark comes from the B Free Franklin post office in downtown Philadelphia. It is a few blocks from Independence Hall. This post office was founded by Ben Franklin and is the only US post office to not fly the American flag. Know why? It’s because it was founded even before the USA was a country! It’s been in continuous operation ever since. If you go, you can get all your mail hand cancelled with this special stamp. You must have a really good mum!